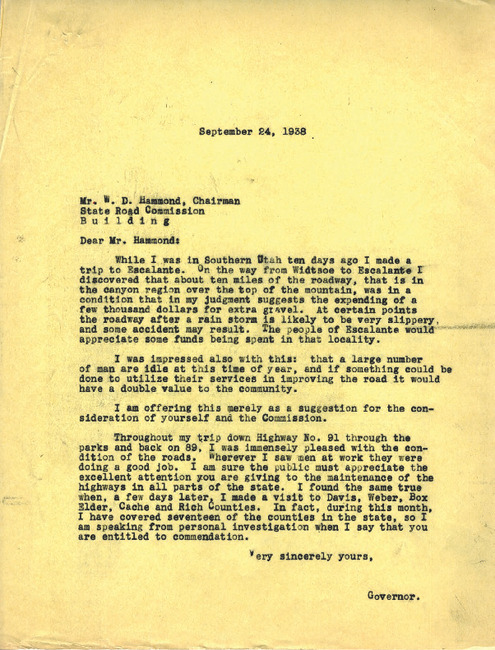 Correspondence from Utah Governor Henry Blood to State Road Commission Chairman W.D. Hammond concerning a recent trip the governor made on Highway 89, his impressions of the road quality in southern Utah, and his commendation to the State Road Commission for the work they had done in improving Utah's roadways. Governor (1933-1941 : Blood) , “Correspondence from Henry Blood to W.D. 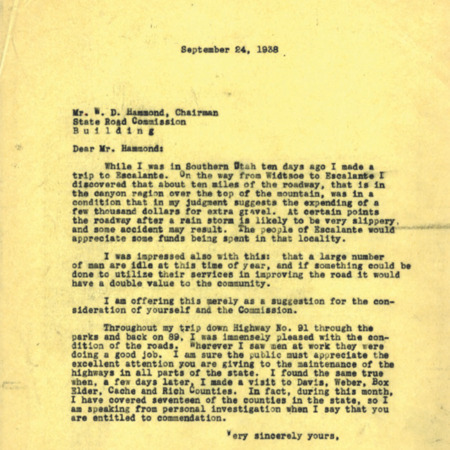 Hammond, September 24, 1938 ,” Highway 89, accessed April 22, 2019, http://highway89.org/items/show/10246.